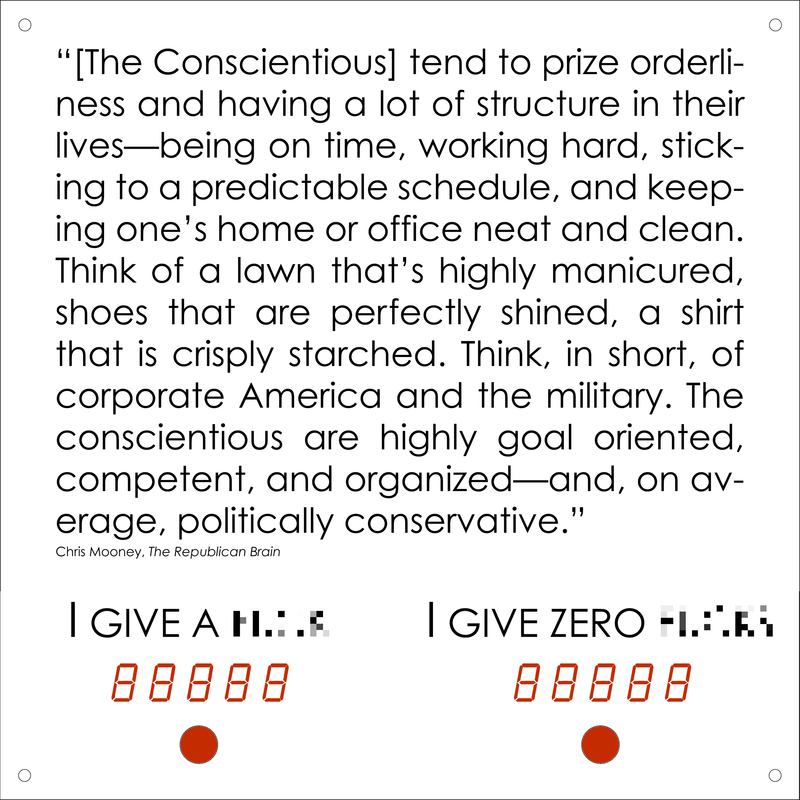 A while back I decided to use a topic from Chris Mooney’s The Republican Brain. In the book, he describes two personality traits that mainly differentiate liberals and conservatives. They are featured in the 13th and 14th images for the Worthy project. Now that all of the images have been selected, I’ll spend the rest of the time completing construction.